During the 60's Jamaican records were issued in the UK on a variety of independent record labels. Around that time Melodisc was an important source. Blue Beat was launched in 1960 by Emille Shallit and was to dominate until Chris Blackwell launched Island records in 1962. Blackwell moved his business to Kilburn, London, to a property owned by Lee Gopthal. He also was to play a key role in Jamaican music in the UK. With the success of Island a new subsidiary label was launched called Black Swan. A distribution company was set up called Beat & Commercial B&C, this was run from the same property in Kilburn and allowed for wider distribution of the labels and therefore greater sales. Ska was becoming popular and new companies began to enter the market place. Benny King and his wife Rita started R&B, later to be known as Ska Beat, Port-O-Jam and Rio with the help of an Australian sound Engineer called Graeme Goodall; who with Chris Blackwell and Leslie Kong founded Island Records. Goodall started to work at Kingstons Federal Studio. Having helped with the launch of the Rio label he to was to start his own label Pyramid in 1966. It proved very successful over the next few years. 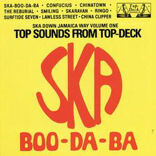 Desmond Dekker's 007 Shanty Town reached No 14 in the charts in 1967. His consistence had paid off, Goodall had remixed the track Poor Me Israelites, issued it on Pyramid Records and it reached the No. 1 spot in the charts with Desmond Dekker's renamed "Israelites" in the spring of 1969. Goodall was to launch a second label Doctor Bird records in the UK. He also set up a studio in London's Fulham Road. His first record was from Jamaican producer Sonia Pottinger from her Gayfeet label Every Night by Joe White backed by Baba Brooks and His Band with First Session, it was 1966. He continued to issue her productions as well as those of Coxone Dodd and Duke Reid. Beaverley's label owned by Leslie Kong was also featured. He issued many records from the Jamaican WIRL label (West Indian Record Label). Over the next two years he was to issued nearly 200 45's on his yellow and green label. Their were many outstanding tracks, which are today very collectable. Including the LP's that are now very rare. The most sort after 45 is not a Ska or Rock Steady tune but a Northern Soul track by Glen Miller, Where Is The Love / Funky Broadway. The last auctioned copy went for nearly £400. Other collector items are: Johnny Moore Big Boss Man, Johnny and the Attractions Young Wings Can Fly, Monty Morris Put On Your Best Dress, Bob Marley Nice Time, Sir Lord Comic The Great Wuga Wuga, Stranger Cole You Took My Love, Ethiopians Give Me Your Love, Kingstonians Put Down Your Fire, Jack Sparrow More Ice Water, Rupie Edwards Stoney Hill. Due to copyright problems the label was shut down and resurrected by Trojan in the early 70's. Doctor Bird Records played a very important part in the history of Jamaican music in the UK.